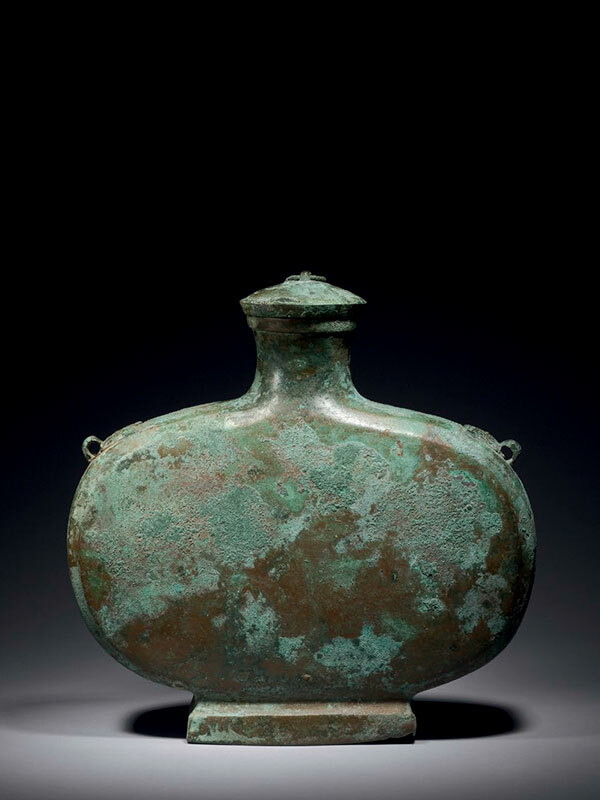 A bronze container for wine, bian hu, the flattened, oval-shaped body supported on a stepped foot of square section and surmounted by a round neck which terminates in a lipped mouth. Each shoulder of the narrow sides has a taotie mask in relief attached. The domed lid has a loop ring. The surface of this well-preserved vessel is covered in a green patina that has malachite inclusions all over. The base is cast with an unidentifiable two-character mark.